This math problem is actually a little harder than it looks. Simplifying this does not follow the classic, standard pattern, and today's post explains it. The 280ZX is an iconic car. Based purely on the hit rate on my posts that mention it, the car remains very popular. It was one of those cars that every boy wanted in the late 70's and early 80's. From 1969 through 1983, Datsun built 4 different versions of the Z (240, 260, 280 and then the 280ZX). None of these versions had a run for more than 4 years, though, so there are a limited number of them out there. 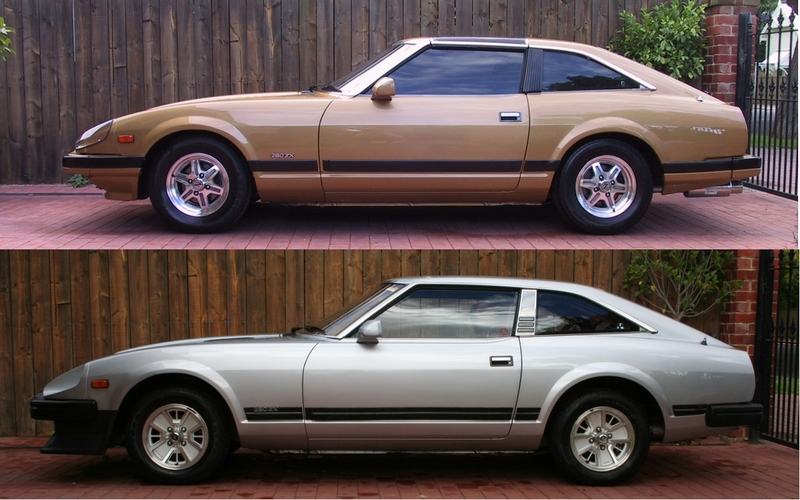 Even within the 280ZX, there are differences between the early and late (series 1 versus 2) which you may see in the picture to the right here and some years had a 2+2 version which included a rear seat. Scarcity of the car aside, finding parts for these is an arguably greater challenge. Lots of the bits and pieces just aren't available anymore. For example, the car we bought had virtually no interior. The carpets can be found online, but none of the plastic pieces are made aftermarket. I can't blame the plastic-injection companies; there are probably just too few people wanting the bits and too many variations between the 4 major models. Finding other things like a window regulator, or even an ashtray are virtually impossible. In our efforts to leave no stone un-turned, we spent a lot of time on eBarf. Those with parts know their scarcity and are charging a premium for them. Next, we try the pick-n-pull yards. Well, there aren't any 280Z or 280ZX donors in the Oregon / Southwest Washington yards. 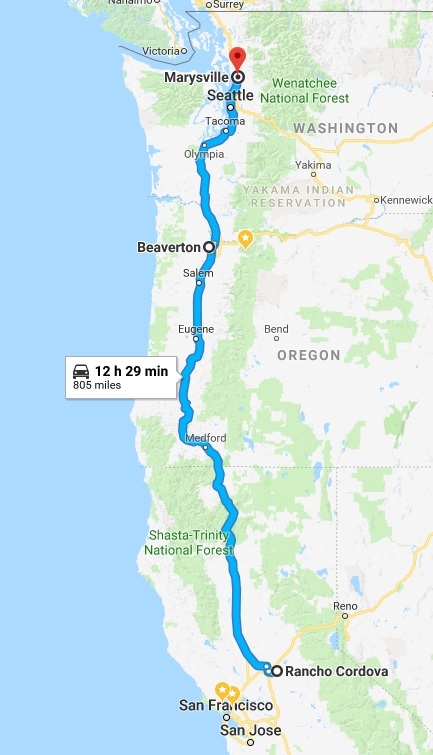 T and C drove almost to Bellingham to pull parts only to be disappointed with the yard management: they have the cars so close together you can't get the doors all the way open. T drove down to Sacramento to pull a replacement door, but most of the interior was so trashed, it couldn't be used for donor material. He grabbed what he could anyway. C had started shopping around for rims shortly after getting the 280ZX. The ones that were on it at purchase were okay, but they were chrome-y flat-faced rims that looked like they belonged on a 1/4-miler. While they allowed the car to move around okay, he didn't like the look. The original rims are classic, and like so many other original parts, they are hard to find at a reasonable price. Usually you'll find 1 or 2 selling for $200US a-piece. If you want a full set of 4, you can find them for at least $600US, but at least one will be damaged such that it can't hold air, and they'll be scratched up enough that you'll need to completely refinish them if you want them to look nice. While searching for rims, C found a car north of Seattle that had the original rims, but had rust, poor body repair and title problems. Based on the pictures, the interior looked mostly complete. So, he and T hopped in the trusty '87 Cherokee and drove off to take a look. A road trip filled with chatter, fast food and music sharing later they arrived at the set of rims with a car attached. It started right up, and drove around fine. Steering was pretty good, suspension not too soft or fluttery but once up to temperature, it won't restart until it's cooled down. Ha. (For those of us with old VW buses, this is a familiar "hot start" problem. It's so common the aftermarket online sellers offer a wiring and relay system to fix it.) A short negotiation later, they bought it. Since C doesn't have a license, we got AAA to tow it. This transportation ended up costing 1/2 of what the car cost (AAA only does the first 100 miles after that it's a cash business), but when I awoke the next morning, it sat in the driveway outside the door of the garage where the no-rust 280ZX lives. In theory, stripping a parts car could be a weekend of intense wrenching. In practice, it rarely works out that way. This ZX will probably be more on the "in practice" end of the spectrum. Our plan is pretty simple. We're going to video the engine running and post it on craiglist as a whole unit. We don't need it, and we suspect someone else does. We may keep the 5-speed, thinking it might be a good runner for the MG later on. Pretty much everything else we pull off will get swapped onto the '79: full interior, rims, power window regulators, power door locks, door handles, rear hatch (has the wiper and a good seal), power steering unit, hoses, steering rack, radiator and chrome bits. We may sell other things that we pull off along the way, but that depends on whether they're in decent shape. Anything else will be re-attached and part of what's sold to the scrapyard. Reading that list, there's a lot of stuff coming off that car. If we're not going to turn around and slap them onto the '79, we need to store them somewhere. Aaaaand.... we're not gonna just slap them on. Instead, we're getting the '79 ready for paint first so that really means more parts will be coming off before parts go on. So, with 2 project cars already in the sub-sized 2-car garage and a driveway full of other cars... where do the parts go? Well... we just cleared out a bedroom for C, so he's decided to use that room as a shed where he'll sleep when he's around. There isn't really any furniture in there yet, so it kinda makes sense. It just seems a little nuts. Fortunately, it's only while the car gets prepped and painted. If all goes well, it'll be a couple of months. So, we're probably going to have a partially torn down 280ZX in the driveway and a steadily increasing pile of 280ZX parts in C's bed- or should I say shed-room until the car has paint which could not happen until Spring. For those of us who dreamed of owning a 280ZX when we were boys, with posters on our walls, this concept is almost unimaginable: your room is not decorated with poster of your dream car, it is decorated with PARTS of your dream car. Need to sit? Take the driver seat from a '83 280ZX. Beware, they're kinda low. EDIT: I just watched the season-ender for Mighty Car Mods (MCM) season 10. I've been an avid MCM viewer for a few years, but I was stunned to see that they picked up a Fairlady "Zed" in Japan. I'm sure with their resources, time, friends and skills, their Zed will be pretty amazing. I highly recommend watching Moog and Marty, if you haven't seen MCM before. Very fun.